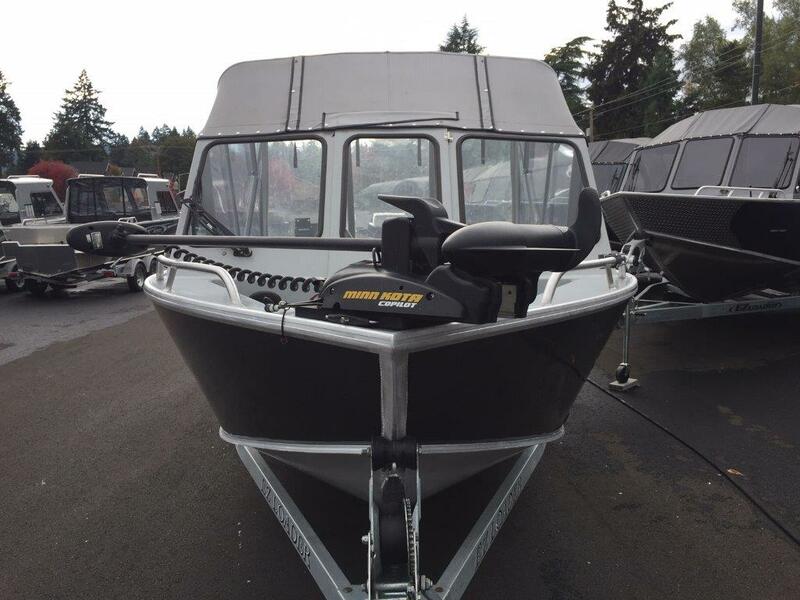 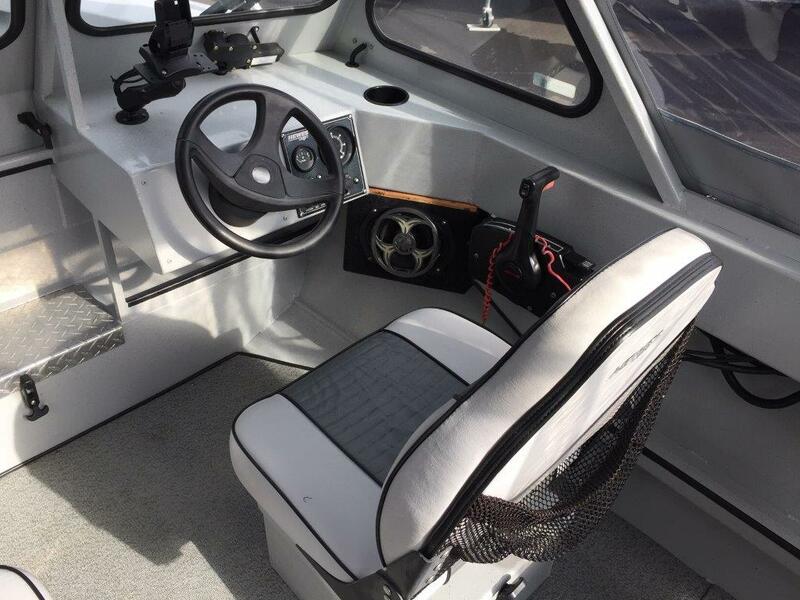 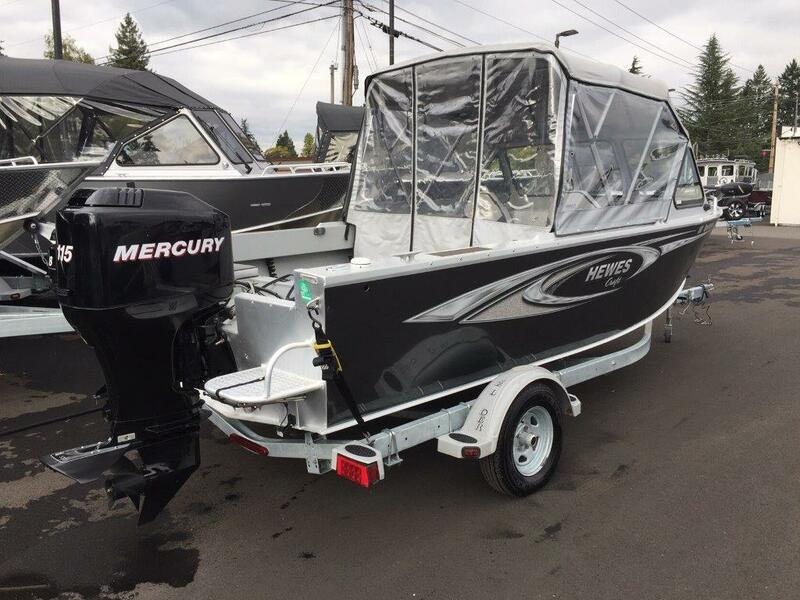 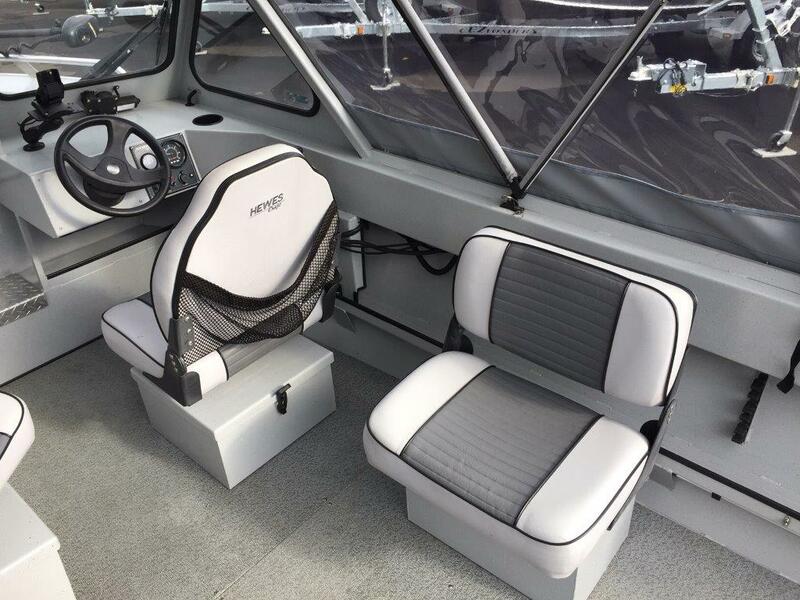 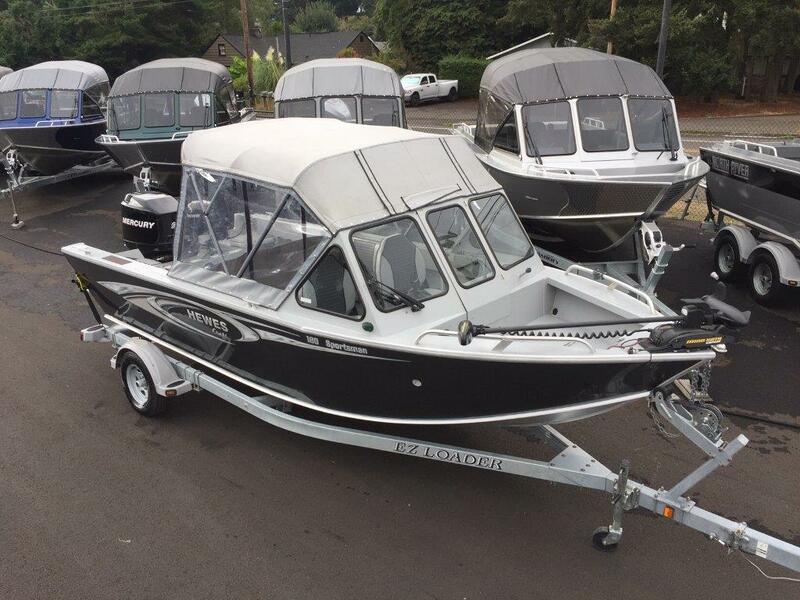 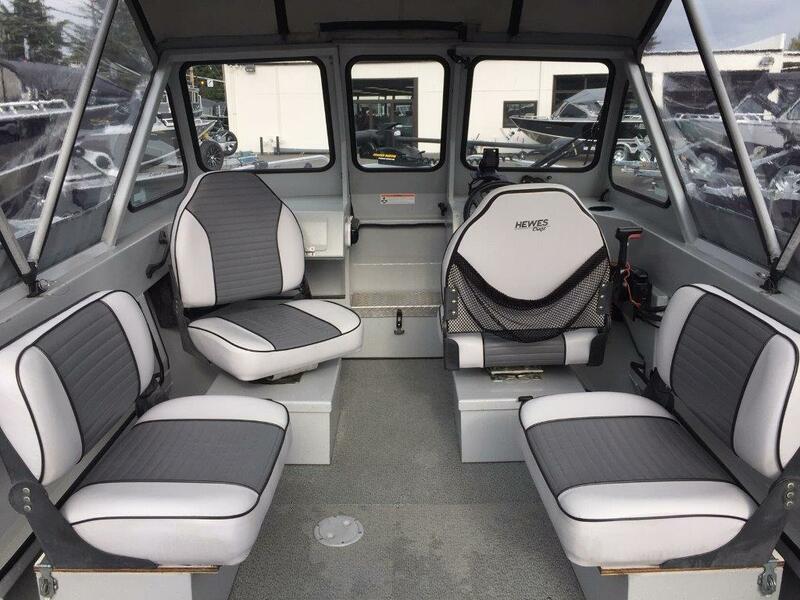 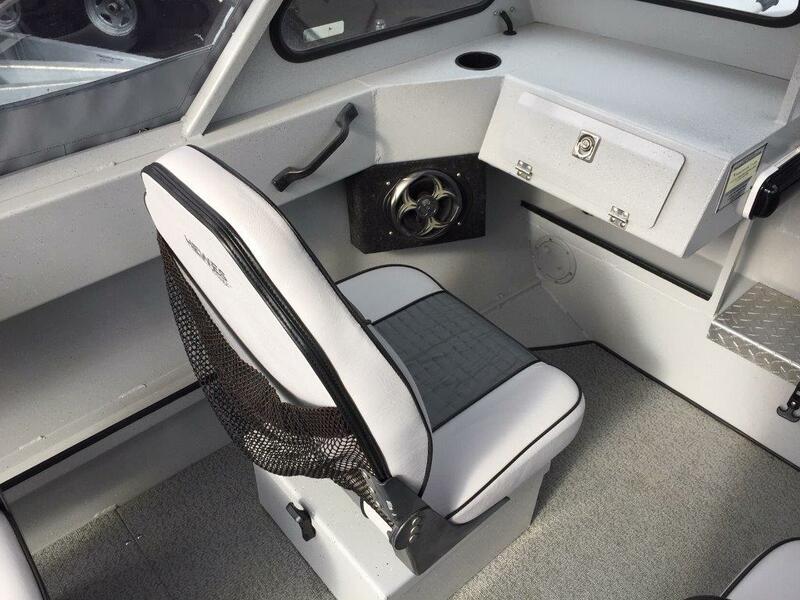 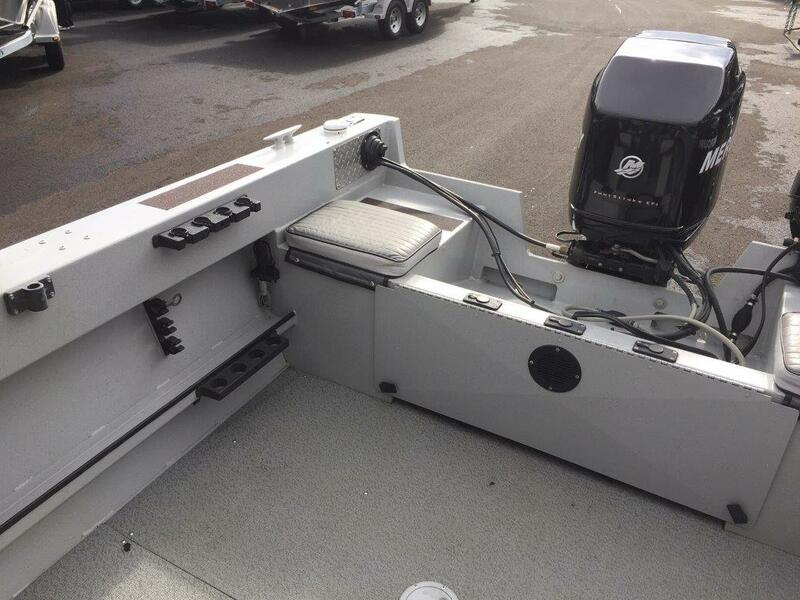 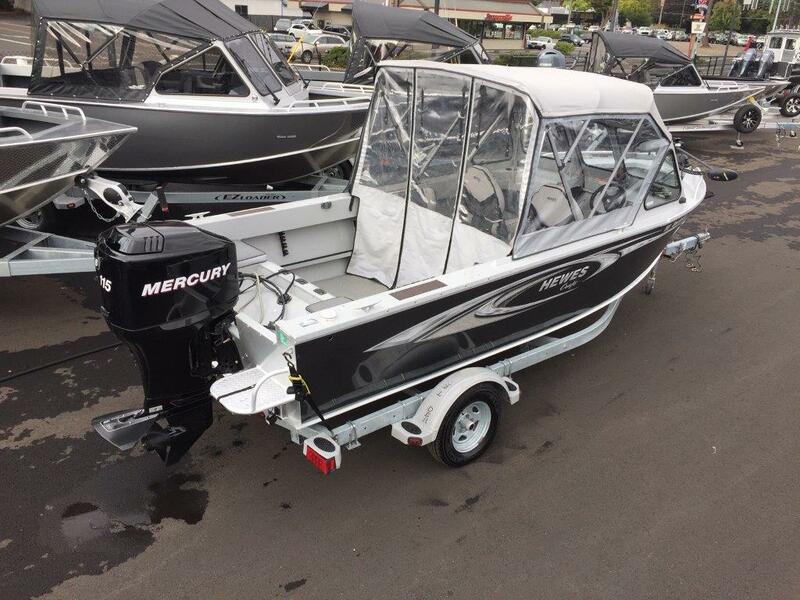 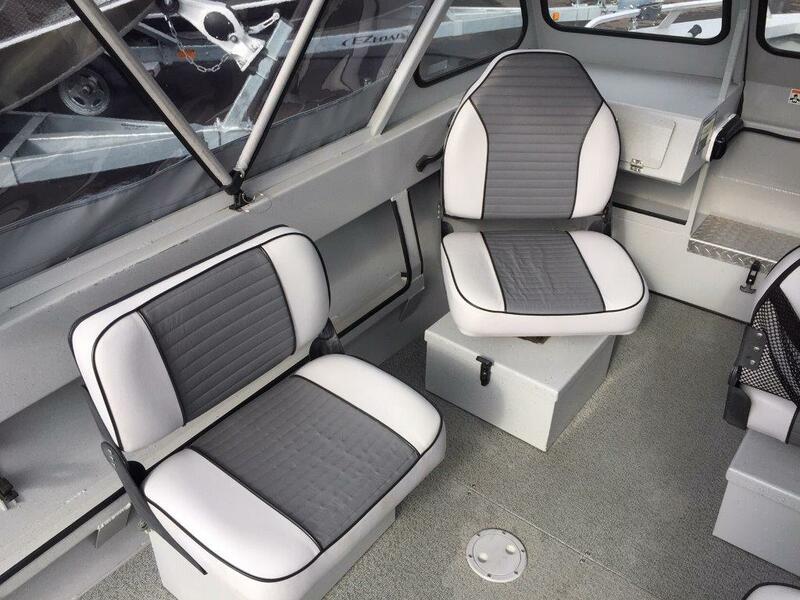 2006 Hewes Craft 18' Sportsman powered by Mercury 115 HP 4-Stroke and 8 HP kicker - Leelock Big Water Anchor Nest - Bow rails - D/S wiper - Deluxe 3 bow top with sides and drop curtain - Hummingbird FF - Stereo with (2) speakers - High back front seats on storage boxes - Short jump seats - (4) Scotty rod holders - Rear seat cushions - EZ-Loader Galvanized S/A trailer with swing tongue - New full side vinyl wrap and fresh detail - Engines are serviced and ready to go!!! 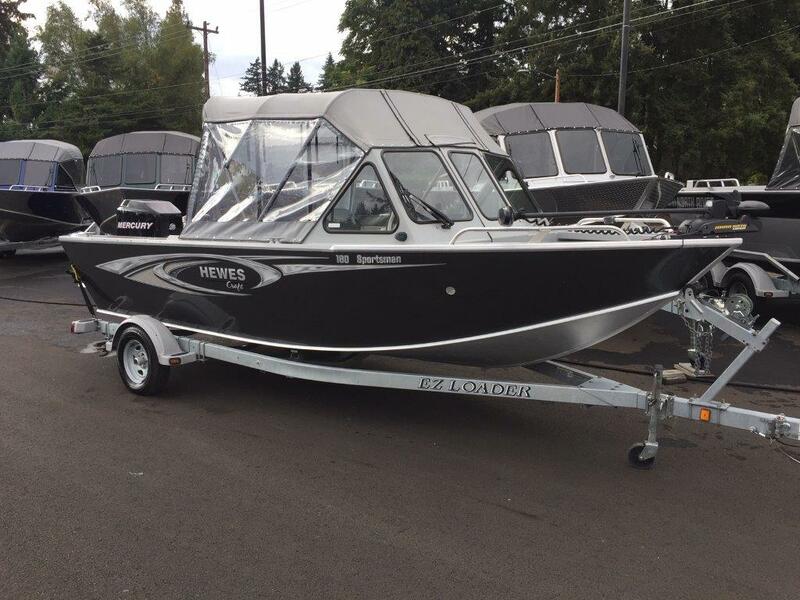 - Please contact our SE Portland location for more information. 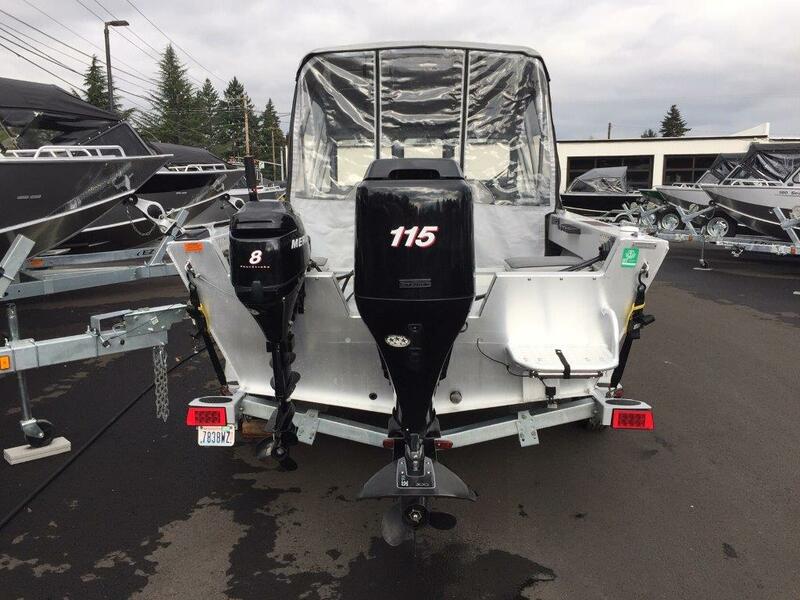 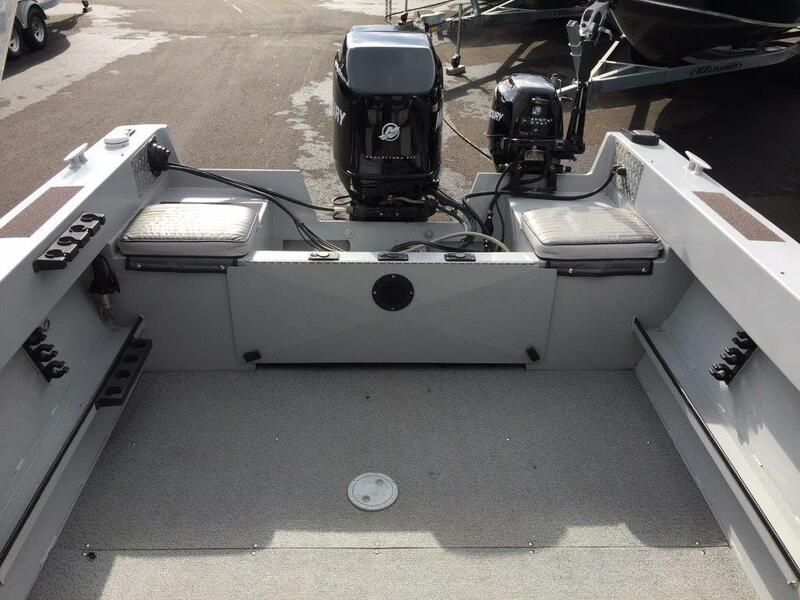 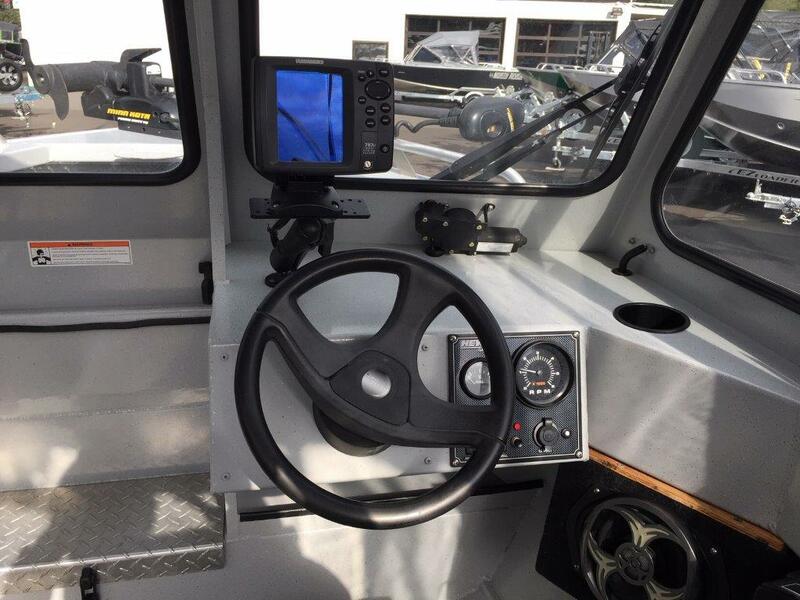 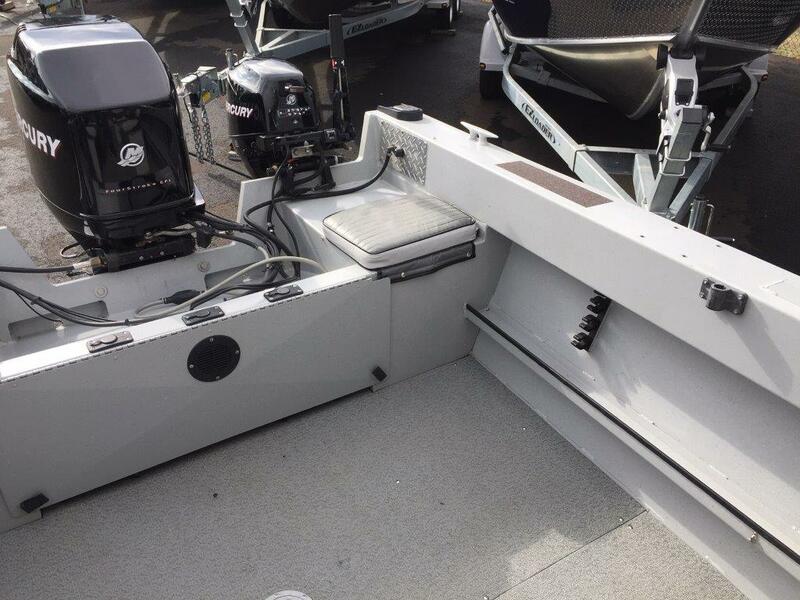 NOTE: Bow mount trolling motor has been removed.